Happy Saturday friends! 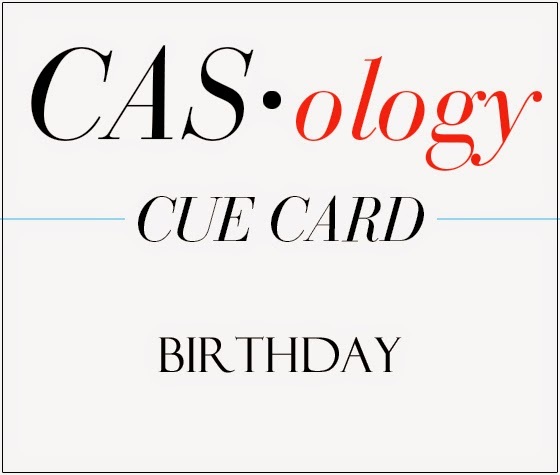 Today's card is for "Just Us Girls" challenge, Seize the Birthday & CASology. I used the sentiment stamp by Mama Elephant on some patterned paper. 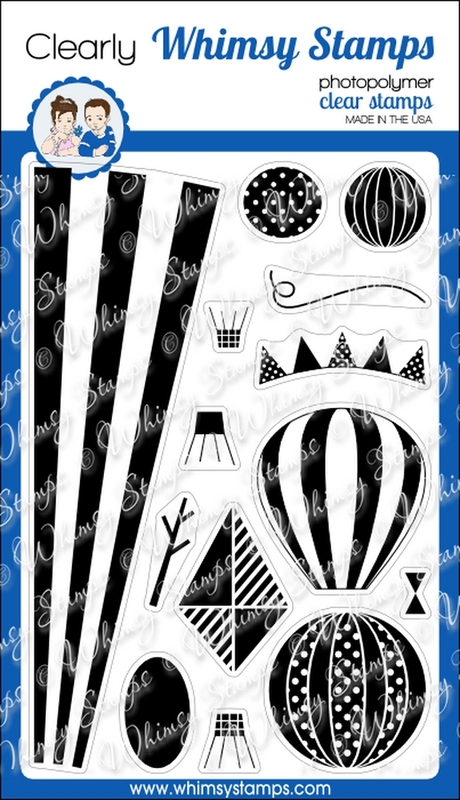 I used the second largest balloon die from Simon Says Stamp to cut it out. Added some black and white twine from Timeless Twine to finish it off. These colors make me happy! I loved the idea of stamping the sentiment onto the balloon like Jen did here. Happy Friday friends! 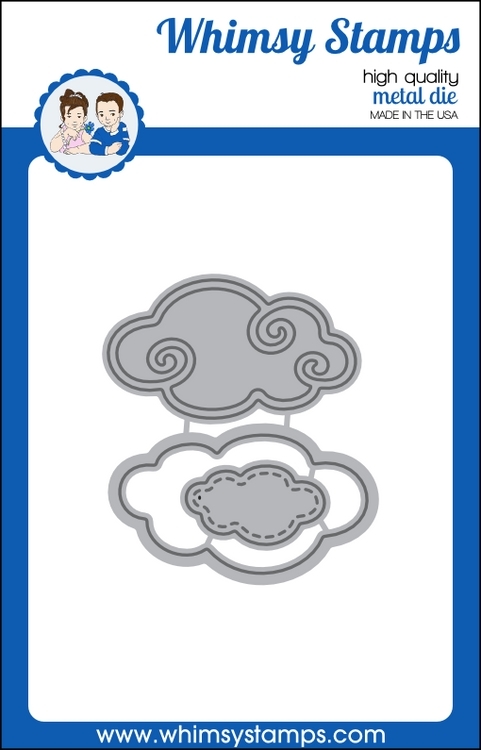 Today's card is for a few challenges. I used the colors from colourQ, the sketch from CAS(E) this Sketch! 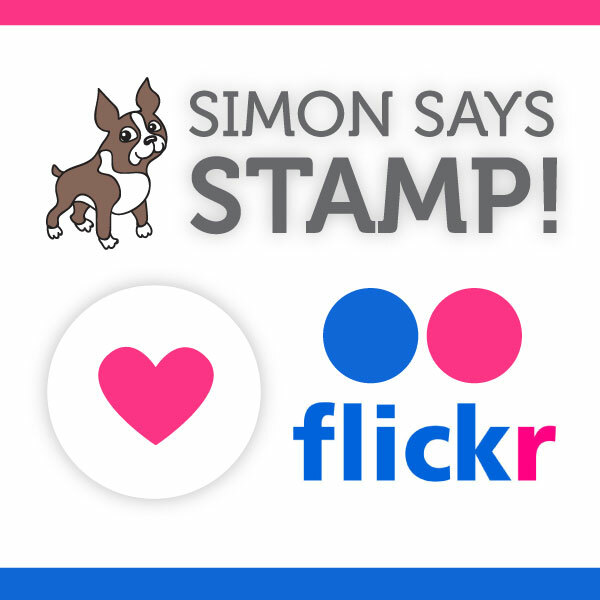 and Simon Says Flickr challenge #11. 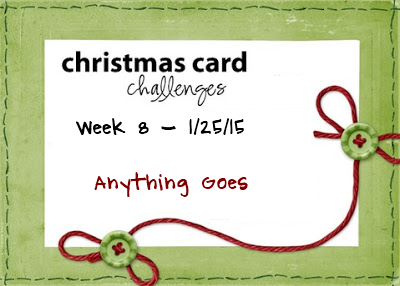 I am also adding this to Simon Says Wednesday Challenge: Anything goes! I was inspired by this card by Amy. I love how she layered all her hearts so decided to use that same idea with these hearts. 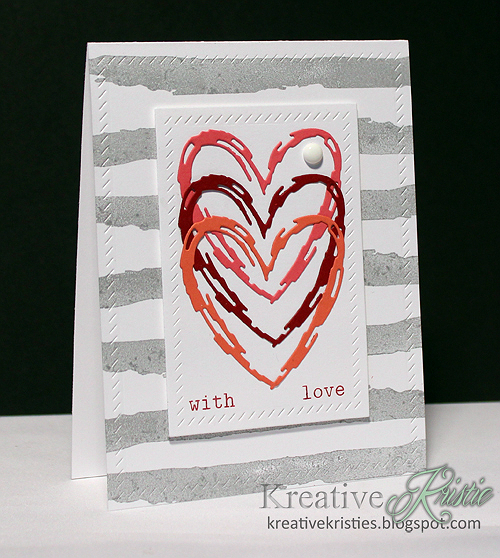 I stamped my stripes using Papertrey Ink's Watercolor Wonder set. I love how the stripes mimic the design on the hearts. Can you see it? I am absolutely in LOVE with Lil' Inker Designs new Side Stitched rectangles! The sentiment is from Winnie & Walter's set called The Big, the Bold, and the Happy. I added one homemade white enamel dot for some fun! Hi everyone! 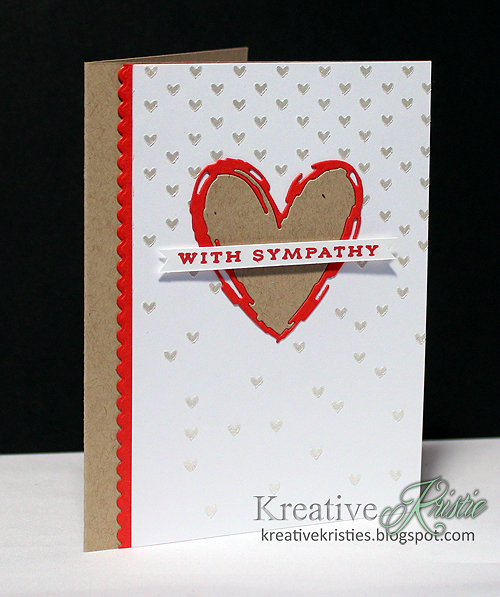 I had the need to make a sympathy card today and I know most of you agree, they are the hardest to make. 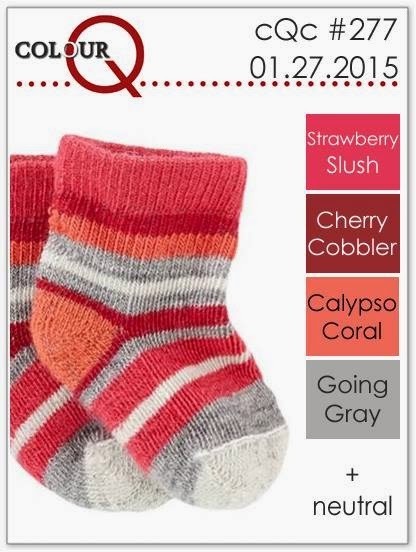 I chose my colors from Sunday stamps color challenge. 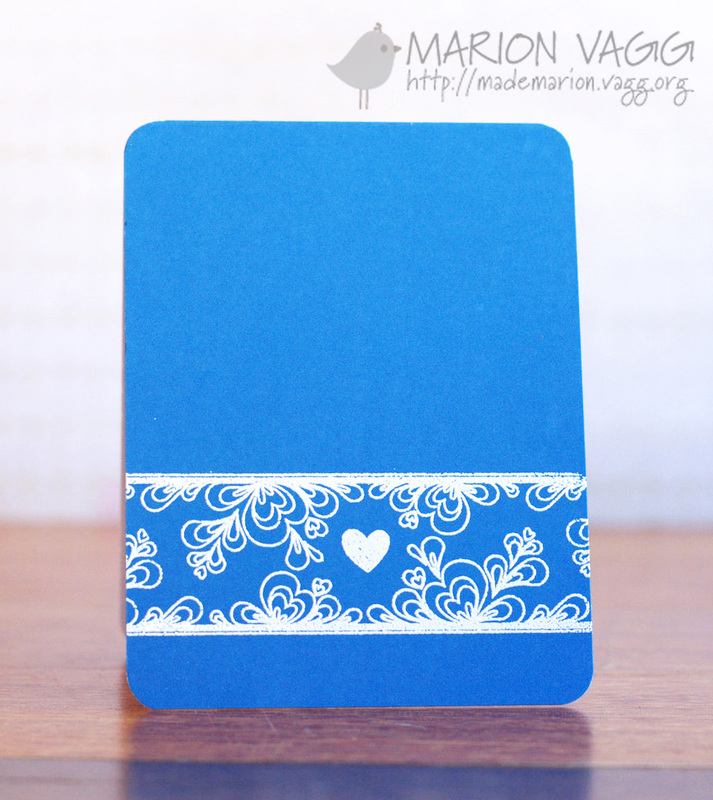 I used some Pearlescent embossing paste through the tiny hearts stencil by Simon Says Stamp to give some texture. The little red scallop border is one of the newest Border dies from Clearly Whimsy stamps. 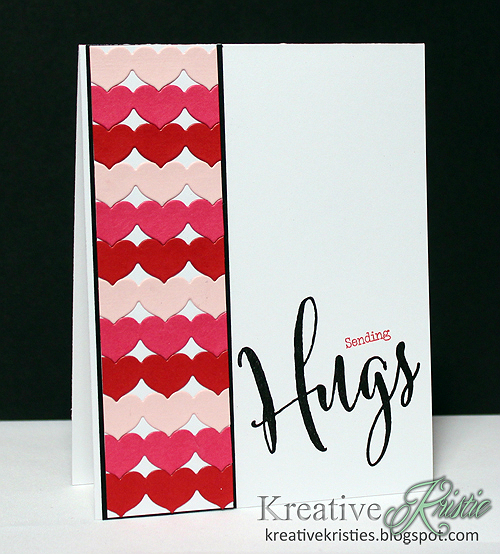 The big heart is from Simon Says Stamp called Sketch Heart. I was lucky enough to win this fun heart die. Before you go I wanted to give you a sneak peek at the DT members cards for the challenge this week at StampNation! This week is a GORGEOUS inspiration photo! The challenge over at Christmas Card challenges blog is Anything goes so I thought it was the perfect time to ink up these adorable gingerbread man/woman stamps from Clearly Whimsy. 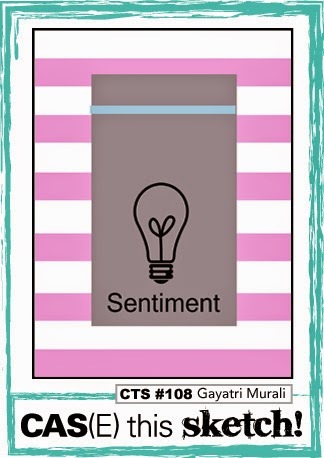 I was inspired by this card by Laura Bassen. 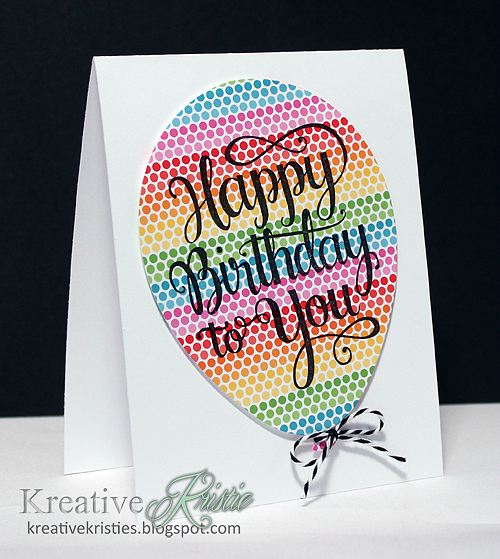 I love how Laura used the tiny dots stencil with embossing paste behind the square window. I did the same thing behind my heart window. I am excited to have one more card to add to my growing collection of Christmas cards for 2015. Thank you for the inspiration, Laura. 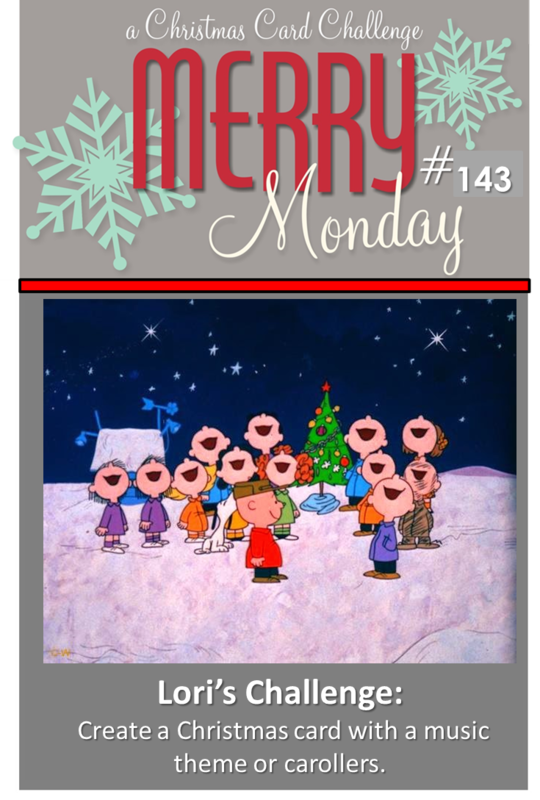 This week Lori challenges us to use Christmas carolers on our Christmas cards. We would love it if you would join us in making your Christmas cards year round. I am popping in real quick with a card for Papertrey Ink's January Blog hop. The challenge this month was hearts. I had these hearts cut out for another project that never came to be. They were sitting on my desk and I knew I had to make a card for the challenge. The die is the heart border die from PTI and the sentiment from the set Big Hugs! LOVE this stamp set and I can't wait for the dies to be back in stock so I can get those too. I used the sketch from The Challenge #23. 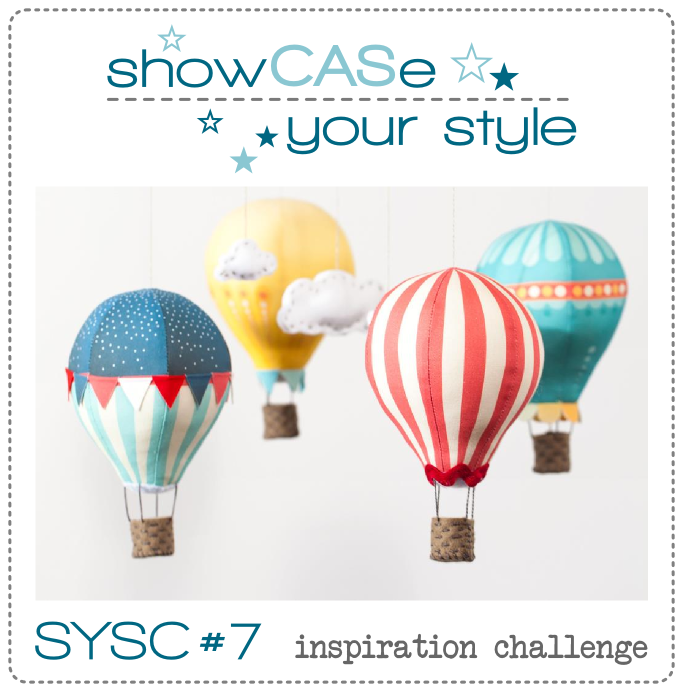 Clearly Whimsy Stamps has a new challenge blog called showCASe your style. Have you checked it out yet? You do NOT have to use Whimsy Stamps products to play along but if you do, the gift certificate will be more if you are the winner! 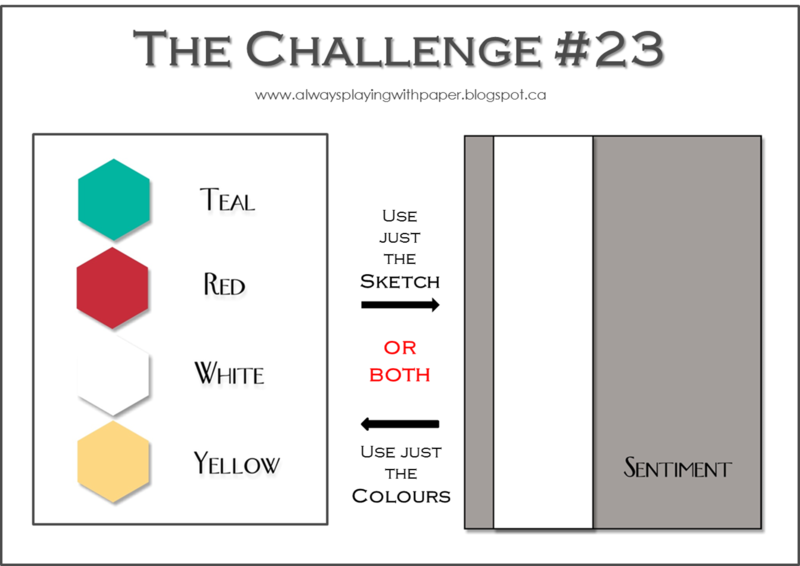 The challenge runs 2 weeks and this time it's an inspiration challenge! Here is how I was inspired. I used the new set Up Up and Away, Up Up and Away Sentiments and the new Stitched Clouds die set. 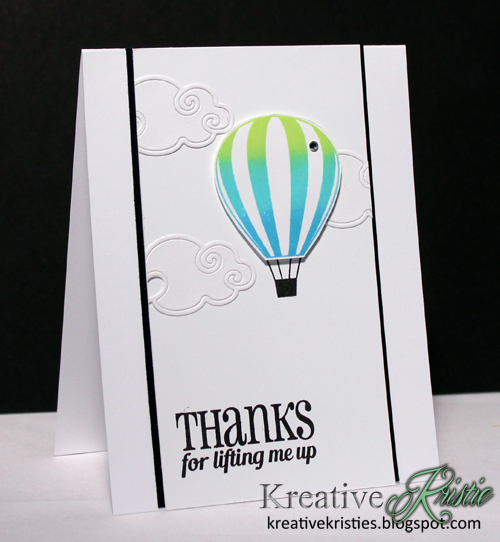 I stamped the hot air balloon using my Kaleidacolor ink pad. Fussy cut it and then popped it up with foam tape. I love the swirls on the cloud dies. 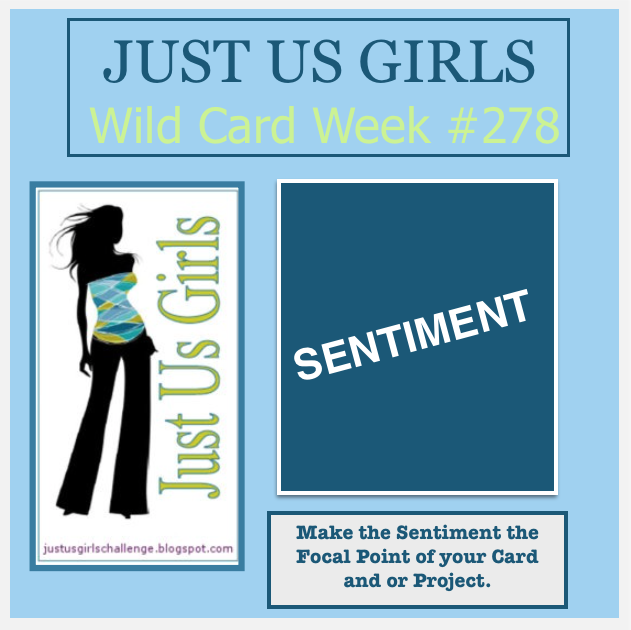 We'd love to see your card inspired by the graphic! 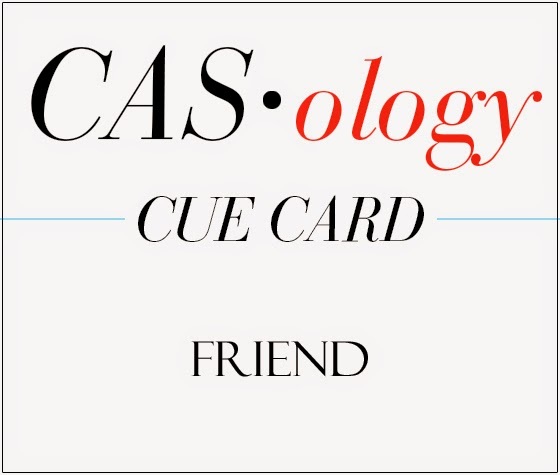 I used the same design as Marion's card just changed the orientation. The color inspired me as well as the heart on Marion's card. I used the new Super Heart Border by Simon Says Stamp! I was lucky enough to win this and this is my first time using it. 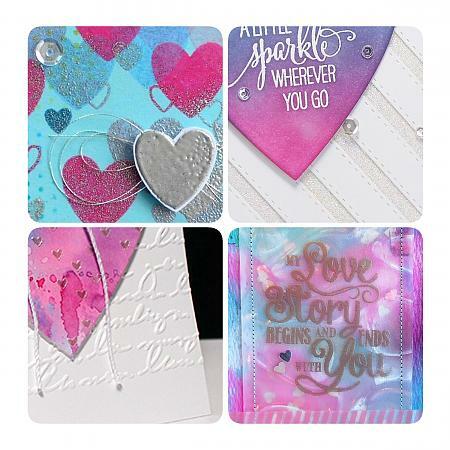 The sentiment is heat embossed and is from a Hero Arts stamp set. I added a few rhinestones to finish it off. 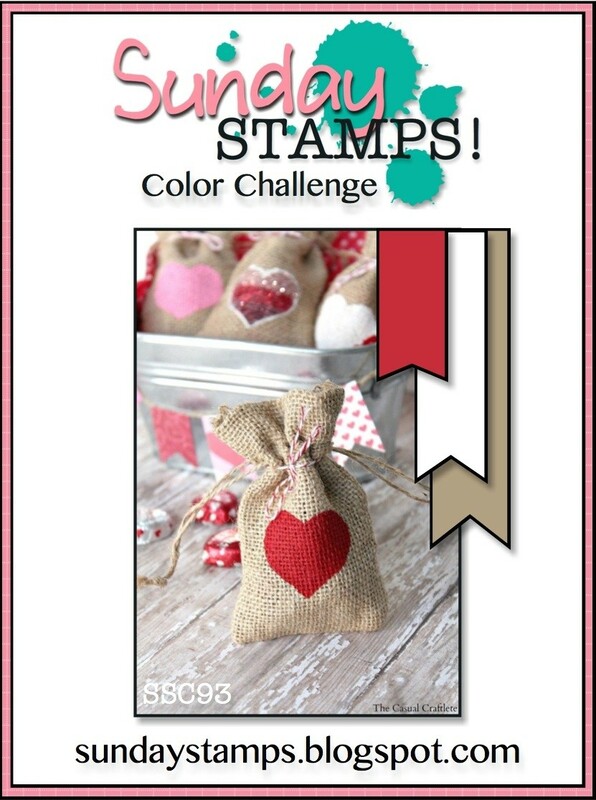 I am also entering this at Simon Says Stamp Wednesday Challenge: Have a Heart. I was thinking of our troops when I made this card. Merry Monday #142 & WINNER!! !